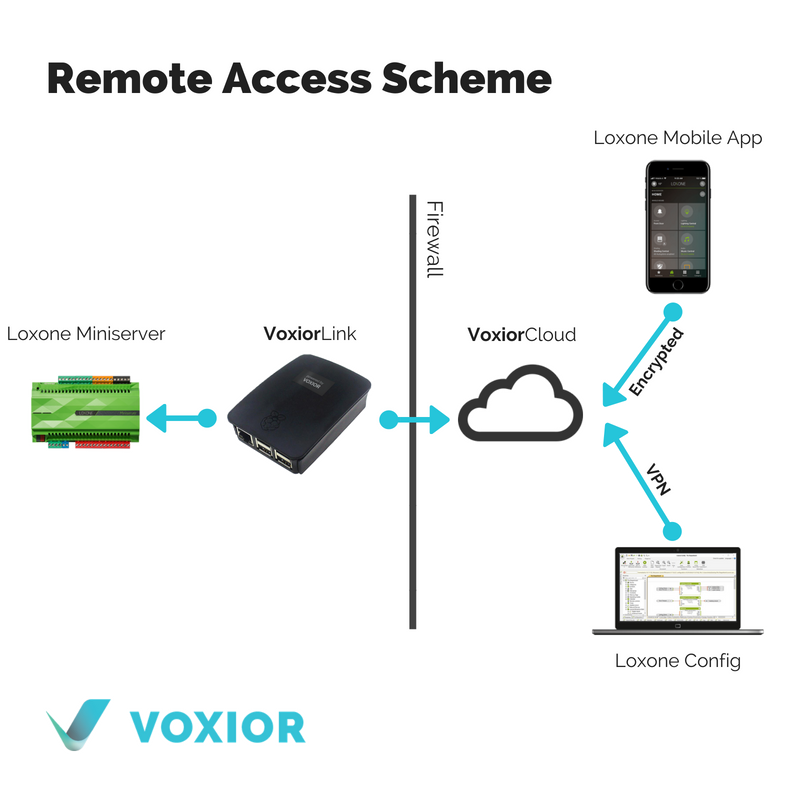 Voxior Remote access removes the need for port forwarding or externally accessible IPs, if the clients wants to connect to their smart homes remotely. It also allows installers to manage and maintain Smart Home Servers remotely. Connect to your favorite configuration tool: Loxone Config, Gira Experte, Gira Project Assistant and manage it remotely. The Installer Dashboard helps installers manage multiple projects in a proactive way. Below you can find a scheme of how remote access works. Setting up the Voxior Remote Access is a three step process. In the third step we will enable Voxior Remote Access for installlers or for clients. If you already have a Voxior Link device set-up and configured, you can proceed straight to the step 3 - enabling Remote Access. During our second step we will take a look at the Voxior Dashboard. Would you like to know more about the Dashboard?